Nelms was buried in Arlington Cemetery on July 31, Bockholt said. Special mission units like Delta and the Navy’s SEAL Team 6 have found themselves at the forefront of the military’s post-9/11 campaigns in Afghanistan, Iraq, Africa and Yemen, an uncomfortable starring role for troops who prefer to work in the shadows. That sometimes leads to a tension between the special operators’ preference for utmost secrecy and the public’s right to know what its military is doing. “We don’t make it a habit to just announce every time somebody dies,” Bockholt replied, when asked why his command had made no public mention of Nelms’s death. The military also typically does not identify soldiers as belonging to Delta, a secret unit whose full name is 1st Special Forces Operational Detachment – Delta. Bockholt would say only that Nelms was assigned to U.S. Army Special Operations Command. Two former Delta operators confirmed to Yahoo News that Nelms was a member of the unit. “He had a great reputation,” said a former Delta operator who knew Nelms. “Everyone who serves at the unit is handpicked, so whether it’s [in training] or in combat, the reality is losing someone at that level is devastating,” he said. The exact structure and size of Delta Force is kept secret, but a biography provided by Bockholt said Nelms had served as a troop sergeant major, a senior leadership position, even in a unit filled with experienced noncommissioned officers. 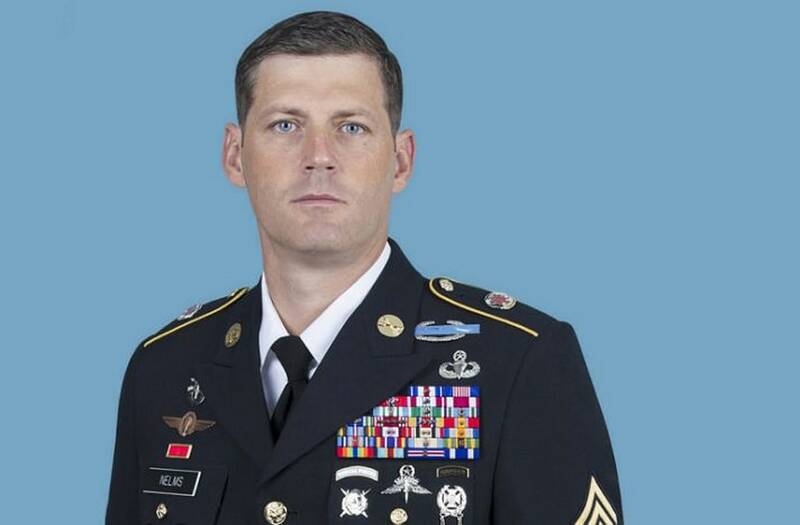 Nelms was twice awarded the Silver Star, the military’s third-highest award for valor, during a 28-year Army career that he began as an infantryman before moving to the Army National Guard’s 19th Special Forces Group. He returned to active duty in 2008 and was selected for Delta, with whom he deployed six times to Africa, the Middle East and Central Asia. After his accident, Nelms was flown by civilian helicopter to McLeod Regional Medical Center in Florence, S.C., about 50 miles to the southwest, said Roylin Hammond, director of emergency services for Scotland County, N.C. From there, Hammond said, Nelms was transferred to Duke University Medical Center in Durham, N.C.
Nelms was the second USASOC soldier to die in a free-fall training accident this year, after Sgt. Maj. Samuel Morris McAllister of the 75th Ranger Regiment died Jan. 24 in Eloy, Ariz. The command suffered no fatal free-fall accidents during 2016 and 2017, Bockholt said.